At it's heart, Gosick is an imaginative adventure tale (with mysteries) that seeks to capitalize on the setting of Europe between the wars. This is a *spoiler-free* review of Gosick, which, when approached properly, is quite an enjoyable show. I won’t spend too much time on details, such as production and cast credits, since they can be found elsewhere. Those looking for detailed discussion of plot points can check here. My main intention is to provide my opinion, that it is worth watching, and to explain briefly why. To do that I will consider genre, structure, and character. A detective with a renowned sense of style. 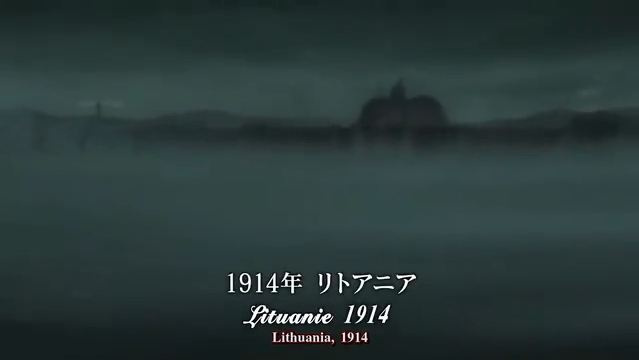 Genre: I think some people were initially disappointed by Gosick, because they approached it as a mystery series, which turns out to be not quite true. It is actually an adventure story, that has several mysteries embedded in it. I think the mysteries are of varying quality. Their real purpose is to establish elements of the larger adventure story, and give the characters some time to be introduced and developed. You could fault the show, if you want, for doing a poor job of setting expectations, because it was hyped as a mystery series, which is a misrepresentation. Structure: Gosick can be broken roughly in half, with the first half focusing more on the individual mysteries, and the second half where the mysteries increasingly become subjugated to the over-arching adventure story. All of the mysteries, in retrospect, tie in some strange way to the over-arching adventure story, but this isn’t immediately apparent, and some mysteries are connected in a very tenuous fashion. It should also be noted that the mysteries themselves are presented in a fairly regular rhythm of three episode arcs. It is easy to imagine that the show could have been tightened up somehow, by speeding up the delivery of one or more of the weaker mysteries in the first half, or eliminating one entirely. Character: In my opinion, this was one of the real strengths of this show. While there were several characters that were very weak, they had close to no role in the series. 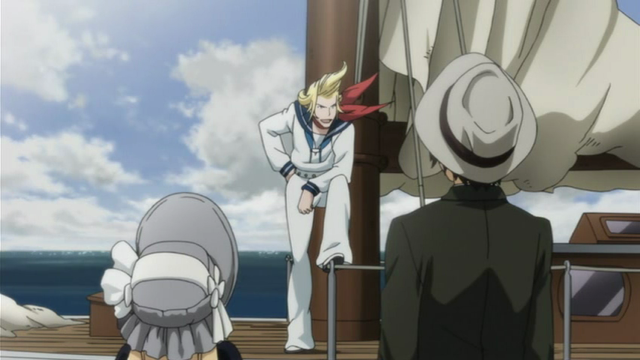 The main characters, Victorique and Kujo, both had fulfilling development, with visible growth over the course of the series. Aoi Yuuki gives a wonderful performance as the mysterious Victorique. The relationship between these characters was also nicely developed, and is an essential component of the adventure that lies at this show’s heart. Several supporting characters were filled out in interesting ways, and a couple even were afforded growth, or interesting sub-plots of their own. Shall I put together the fragments of chaos for you? Gosick was an enjoyable adventure tale that dragged out the mysteries in the first half a little too long. I think watching the show in three episode chunks (one mystery at a time) could help to maintain momentum in the first half. Aside from that, this show has very nice production values, and an intriguing setting, so check it out! And I also agree about the characters being the strength of this show. Like Cordelia and Brian, they are amazing too. Albert too for being the best villain for this season. I like tight stories, but I don’t know quite how they could have practically made it shorter. I’m just glad that it wrapped up as nicely as it did in the end. Brian was interesting as they had me guessing on that one right until the end. Sorry it took so long to approve your message, I was away for a couple of days, and just got back this afternoon. Oh, is that what happened. I thought you got a new email address or something. I came back after a few days of watching my sister’s cat and found a bunch of “Pending” comments is all. I agree Joojoobees. I was initially disappointed at the simplicity of the mysteries, until I eventually figured out that wasn’t what the show was really about. Once I figured out it was all about how the two main characters grew and developed through the course of the various adventures, I found it to be highly satisfying. And that character development was top-flight. Very good show. Yes, and I thought the setting was interesting. I’m not sure they did everything they could have with it, but it was a refreshing change of pace. 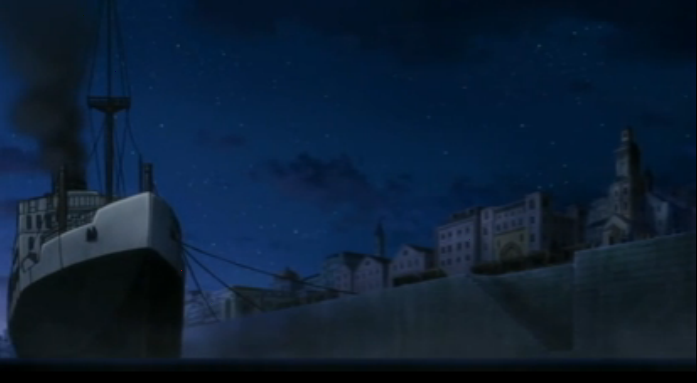 Indeed, Gosick was not strong with it’s mysteries, but as an adventure it was decent. There was a huge chunk of episodes towards the middle that just made me want to drop this series though, just because of how filler-esque they were. I’m glad I managed to endure those few episodes because the last few arcs were quite the surprise. Character development was nice, but I still wish the characters aside from Victorique weren’t as incompetent and annoying as they were. But I guess it really isn’t a terrible problem in the end. They could’ve honestly fit in all the good parts to this series in a 12-13 episode series, but it’s not like it could really be changed at this point. I’m a bit of an odd-ball in that, if I basically like the characters, I generally enjoy the filler episodes as well. I enjoy seeing the characters interact with each other without a dire threat hanging over their heads. I guess it’s the whole “spending time with people you like” thing. There WAS a bit too much of that towards the middle, but not really enough to bother me. I wasn’t quite as bothered by the mysteries as some folks, because I have seen a lot of generic fiction/TV, including a lot of mystery series when I was a kid, and I don’t think Gosick was worse than most things I have seen. I don’t have a hard time with “spending time with people you like” in concept, but I think it does help the viewer to establish the genre up front. It can set the viewer’s expectations properly. If people go into a show understanding that the idea is to have fun “I don’t have a hard time with “spending time with” the characters, they can apparently tolerate just about anything, as long as the characters are entertaining. 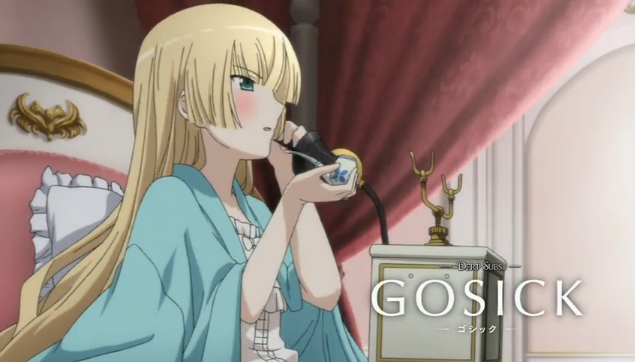 In my opinion, Gosick sold itself poorly. Perhaps if more people understood they were settling down to an adventure tale, they would have enjoyed the show more from the start. In honesty, the first arc should be a good clue to the adventure genre. Much of the first three episodes are either adventure, or building the larger story, by introducing us to the world and it’s characters, but I saw people dismissing the series based on the first episode, because of five minutes of “mystery solving”. Oh well. I have thought about what might have happened if they compressed it to a 13-episode series. My concern there would be that it would rush the character development, although, of course, we’ll never know at this point. I, too, am glad that I stuck with it.